Xiaomi, as we all know, is the king in the budget smartphone segment in India right now. Almost every phone from the company has managed to match consumer expectations and impress buyers. The Redmi 4A is a solid example of this, redefining the price to performance ratio in its time. 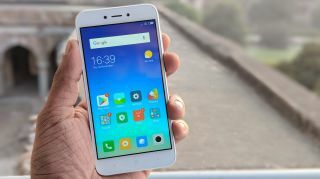 To update this product, Xiaomi unveiled the Redmi 5A in India, pitching it as the “Desh Ka Smartphone”, which is a minor upgrade over its predecessor. When compared to the 4A, the phones are hardly different. It’s similar to the relationship between the OnePlus 5T and OnePlus 5. It’s something of a cosmetic update. What still keeps the Redmi 5A on top of the competition is its hardware. 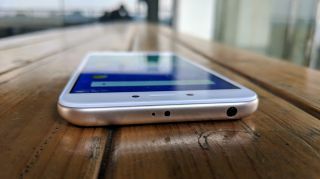 Xiaomi has announced that the 2GB RAM and 16GB storage variant will be up for grabs at Rs 4,999 for the first 5 million units, thereafter, the price will revert to the original, Rs 5,999. On the other hand, the 3GB RAM and 32GB storage variant will continue to retail at Rs 6,999. So, can the Redmi 5A can be the perfect smartphone for people on a tight budget? Let’s find out. The 2GB RAM + 16GB storage variant is priced at INR 4,999 for the first five million units, post which, it will be available for INR 5,999. The 3GB RAM + 32GB storage variant is priced at INR 6,999. The Redmi 5A went on sale at noon on December 7, across Flipkart, Mi.com, and Mi Home stores. As per recent reports, you may soon be able to purchase the 3GB RAM variant of the Redmi 5A from offline retailers by paying a premium of Rs 500, bringing the total price up to Rs 7,499. The Redmi 5A features a unibody design with a metallic finish on top of a good quality plastic back. It looks identical to its other Redmi counterparts, and feels like a shrunken Redmi 4. The sides are metallic, which packs it firmly, hence it feels pretty sturdy to hold. It weighs 137 grams and measures 140.4 x 70.1 x 8.4 mm, which makes it a pretty handy device. Similar to the Redmi 4A, it has the front camera, earpiece and ambient light sensor on the top of the display. The capacitive navigation keys are right below the display, which unfortunately isn’t backlit. Power/lock key is on the right, accompanied by the volume rocker. On the left edge, there are two trays — one for dual SIM cards and another dedicated to the microSD card. On the bottom, there’s a micro USB port with the primary microphone and the top of the phone houses a 3.5mm audio jack and an IR blaster, which is a feature many want. On the back panel, there’s the primary camera, LED flash on the top left corner and the speaker grill is at the bottom, which also has a tiny protrusion to avoid audio blockage when the phone is placed on its back. Overall, the design and build are nothing extraordinary for those who’ve seen the 4A, but it’s commendable for a device this cheap. It is handy, fits perfectly in pockets and doesn’t feel bulky despite having a relatively big battery. The Redmi 5A sports a 5-inch HD IPS LCD display with 720×1280 pixel resolution. When I compared this display with other budget smartphones in the same price range, the handset that came closest to this phone was the Redmi 4 itself. While the Redmi 4 has a sharper and punchier display, the Redmi 5A’s display fits the bill for this price. The pixel density does come to 296 pixels per inch though, which means you’ll struggle to spot any pixelation, unless you’re very close to the screen. Colors look rich and vivid and can be tweaked using a manual adjustment in the display settings. Moreover, it offers a night mode for a comfortable reading experience in darkness, which is rare in this range. The display, while not revolutionary, offers a new standard in the ultra-budget range. It offers good sunlight visibility and we reckon this will be a norm for budget buyers soon.